Everyday-Arabic provides online arabic lessons for non-native Arabic speakers. Also, many online quizzes, infographics and fun worksheets that help improve different language skills that are opened as free for everyone. I started read a lot about business and how to make one on internet. I studied all my options and did a lot of researching and I believe I’m in the right track. 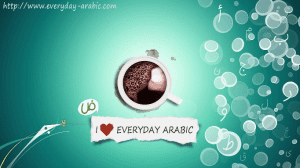 1) Everyday-Arabic doesn’t just for teaching Arabic as a second language. It focus on different Arabic dialects and how to use Arabic in real life. 2) Provide short lessons with creative touches that are opened for students and teachers to use it with no costs at all. Learning new language can improve brain power. Just think how to do it in simple steps and you will be there.